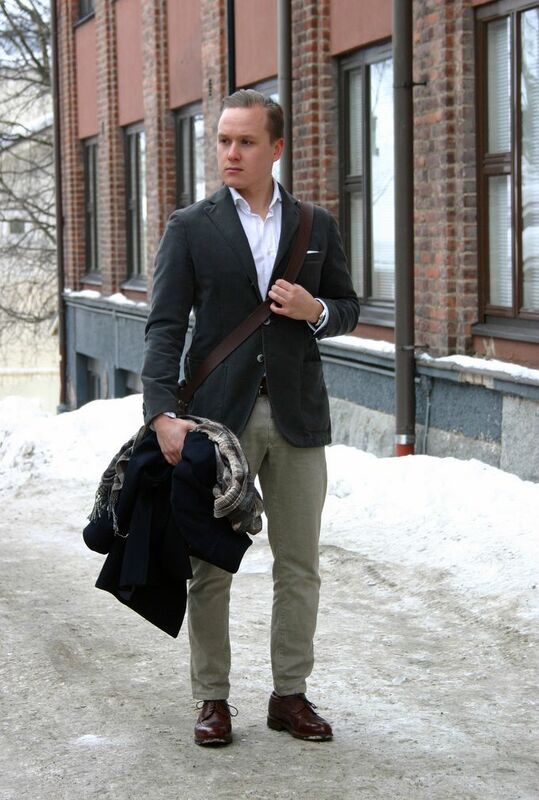 White, Green, Khaki and Brown. These pictures were taken a while back when I was visiting my university. A pretty basic sport coat combination, this time simply with a crisp white shirt and without a tie. The items include an unstructured LBM 1911 green moleskin jacket that has certainly been my favorite piece this winter, a white SuitSupply oxford cotton spread collar shirt, white cotton pocket square, Equus Leather bridle leather belt, Incotex Red chinos, dark green Falke socks and Meermin longwings. Even if these pictured hardly bring anything new on the table, they're a good example on how a simple white shirt just looks damn good. The white color looks sharp and clean and is compatible with nearly any other color. 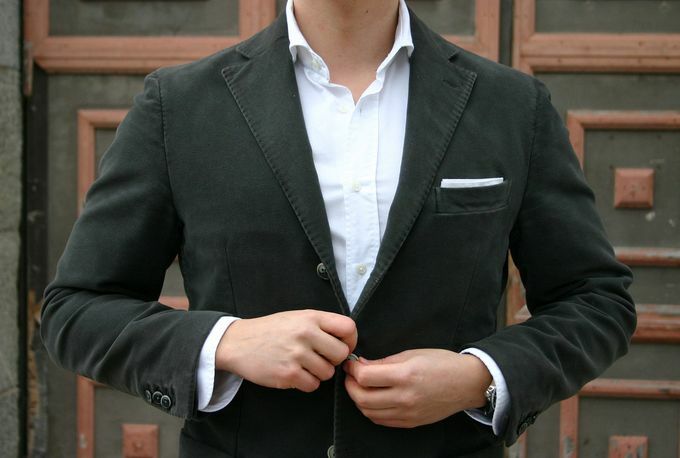 Furthermore, it's good for any season of the year as long as you match the type of the fabric to the rest of your clothes. In this case, the semi heavy oxford cotton is a good match for the fall and winter weight moleskin and slightly worn and faded cotton chinos.